If you want the best life has to offer, you have come to the right place. This architecturally distinctive masterpiece combines old world charm and substance with new world luxury and style. 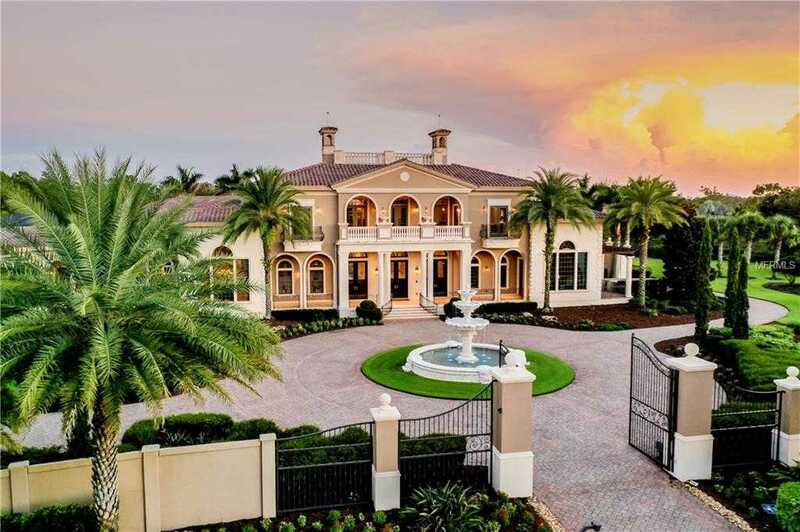 This gated and breathtaking 18,000 square foot under air, Italianate estate creates a commanding presence on three-and-a-half lushly landscaped acres at The Concession, a prominent country club community with championship golf and a zest for the good things in life. With more than 30,000 square feet of living space under roof, this one-of-a-kind, luxuriously appointed home is offered with all the furnishings currently in place. Soco Interiors was involved in the entire process from the designer finishes to magnificent furnishings. Its exquisite features include six bedroom suites, 12 baths, underground wine cellar and tasting room, one of only a few in the state of Florida, a 16-seat, high-tech home theater with 144-inch movie screen, game room with full wet bar and regulation pool table and exercise room attached to your private sauna and steam shower. An elegant, wood-finished library features impressive built-in bookcases and even a secret passage leading to the master suite. A professionally appointed office is conveniently next door. There is an outdoor summer kitchen complete with a pizza oven, fire pit, multiple seating areas and undercover dining. This home offers six oversized bay garages for the car enthusiast along with a golf cart garage. Relax and rejoice, it just doesn 8217;t get any better than this. Please, send me more information on this property: MLS# A4418360 – $12,995,000 – 8499 Lindrick Ln, Bradenton, FL 34202. I would like to schedule a showing appointment for this property: MLS# A4418360 – $12,995,000 – 8499 Lindrick Ln, Bradenton, FL 34202.